In order to make an appointment, please call us or email us at preciseperiodontics@gmail.com. We can provide you with faster communication through our Gmail address provided. 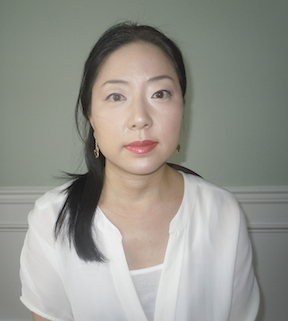 Periodontist Gina Jee Lim, DMD, East Brunswick, NJ, practices a full scope of periodontics with expertise ranging from Scaling & Root Planing, Osseous Surgery, Gingivectomy, Connective Tissue Grafting, Crown Lengthening and Dental Implant Surgery. Dr. Lim can now correct a wide variety of periodontal (gum) disease. Our office is located at 53 Brunswick Woods Drive, East Brunswick, NJ. Call us at 732 967-9292. Dr Gina Jee Lim is a graduate of the University of Pennsylvania for both dental degree (D.M.D.) and periodontics specialty. Precise Periodontics offers a variety of treatment options for patients with mild, moderate or severe periodontal disease. Precise Periodontics uses state-of-the-art equipment. If you are suffering from periodontal disease, or think you may be at risk, call Dr. Lim at Precise Periodontics today to schedule a consultation. Initially, the food, bacteria and saliva get mixed together to form a plaque. If plaque is not cleaned away completely by brushing and flossing, the calcium from the saliva hardens the plaque. Then plaque turns into calculus. Calculus causes infection in the tissue and the bone surrounding the teeth. In mild cases, the calculus is in the gumline area and slightly below the tissue. Scaling and root planing can clean above and below the gumline. In more advanced cases, osseous surgery is done to clean the calculus deep inside the tissue below the gumline. There are different stages of gum disease. Gingivitis is the early stage of gum disease and is characterized by red, swollen or bloody gums. Periodontitis is the more advanced stage in which the gum tissue and bone can become damaged. Severe cases of periodontitis can lead to permanent tooth loss. What factors increase my risk of periodontal disease?